The Ginger XL 42 from the Spanish light manufacturer Marset looks like a large fishing rod. For this reason, the arc lamp serves as a tasteful eye-catcher. When designing the Marset Ginger XL 42 arc lamp, Joan Gaspar was inspired by the drummer Ginger Bakers who achieved worldwide fame in the 1960s as member of the rock band Cream. In line with this allusion, the light head of this arc lamp looks like a cymbal of a drum set. 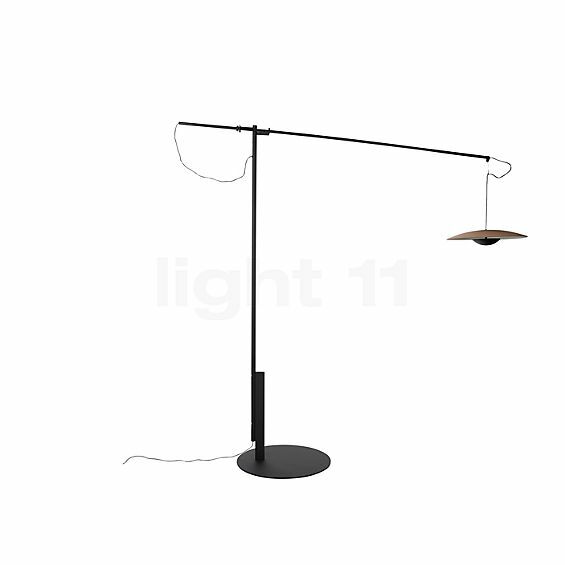 This arc lamp is offered with two different surface finishes: Wenge and oak. The Ginger XL 42 Arc lamp light was designed by Joan Gaspar in 2015 for Marset. The LED module is hidden inside the curved reflector. Thanks to a clever suspension system, the lamp may be precisely adjusted. This 4mm thin shade is made of thin wood and paper. The energy-efficient LEDs of the Ginger XL 42 are located in a small aluminium bowl below the shade. From here, the arc lamp emits its light directly upwards; it is then softly and uniformly reflected downwards by the white-painted surfaces of the reflector. Moreover, the Marset Ginger XL 42 impresses by its various adjustment options: for instance, the light head can be suspended in a range between 13 cm and 55 cm. By lifting or lowering the arm, it can be moved in an angle between 89° and 101°. But this is not all: the arm can be extracted or retracted and can therefore cover a range from 92 cm to 145 cm. Last but not least, the arm can be pivoted at an angle of 100°. In addition to its flexibility, the Marset Ginger XL 42 also impresses by its efficient LEDs which only require a power input of 15.4 watts to produce a luminous flux of 2,130 lumens. This means that the arc lamp almost achieves the same brightness as a conventional 150 W incandescent lamp. Tell other customers and us about your experiences with the Ginger XL 42 Arc lamp LED ! By providing illumination for the dining table, the Marset Ginger XL 42 is a flexible alternative to pendant lights, particularly when no ceiling outlet is available. With its overall 172 cm long arm it supplies even large dining tables with bright, perfectly glare-free zone light. Then, the food and drinks of the table are tastefully highlighted and suffused with pleasant, warm-white light. Furthermore, the Ginger XL 42 supplies a sitting area in the living room with diffuse zone lighting that creates a homely atmosphere that invites you to sit back and relax. It is even conceivable to use it as a flexible working light for the desk. 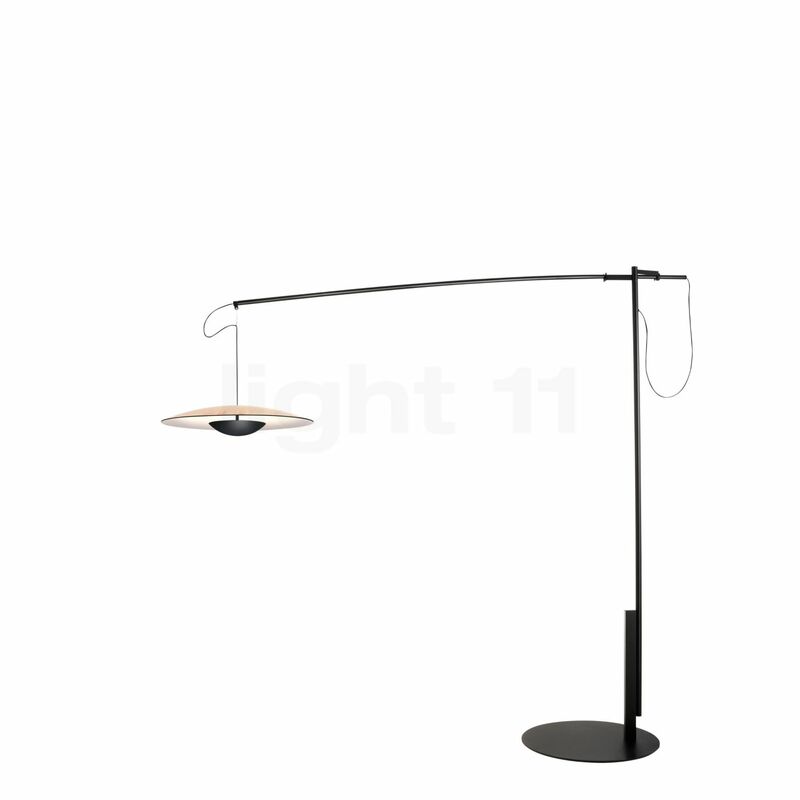 Here, the arc lamp from Marset provides the table with needs-oriented zone lighting.